“This one’s for the bouncers!” This week I show John Moore an app to dedicate your favourite songs to friends over social media. Plus a fitness app that let’s you rise up like a video game hero and a money-saving app for predicting your kids ever-growing sizes in clothing. It’s ridiculously easy to share a photograph on Twitter or Facebook. Why can’t it be the same for music? This is what SoundTracking is trying to solve. 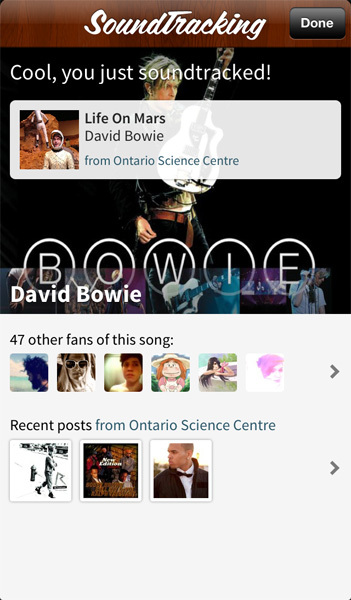 With it you can create musical updates that others can listen to within Twitter or Facebook itself. These messages work just like regular tweets or status updates in that you can include a short text message, your current GPS location, hashtags, mentions, and even a photograph. You might have to get a bit creative, but it can all fit in there. You can select a song from your own library, or Soundtracking’s online library, or by having the app listen to and identify a song playing nearby. If you have friends with the SoundTracking app installed you can tag up to eight of them into the message to show that you’re hanging out with each other and even dedicate the song to one of them. So this is how it could work. You take your wife to a fancy restaurant on your anniversary when you hear “your song” being played. You can then send out a tweet with the song, the restaurant, a photo of the candle-lit table, a dedication to your wife, and a short message sharing the magic of the moment. Friends can listen to a snippet of the song (sadly, just a snippet) and if they have SoundTracking accounts can post comments and emoticons for support. 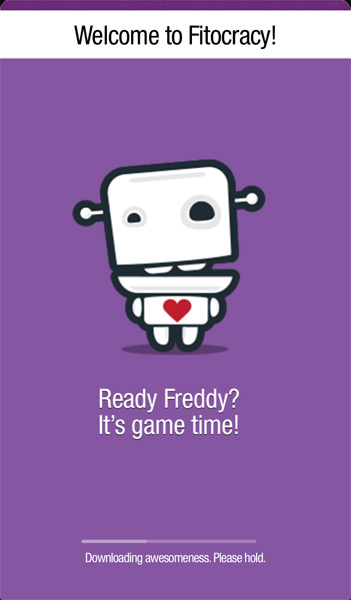 If the app could play songs in their entirety it would be close to perfect. Oh look, there’s a huge sale on children’s clothing right now. 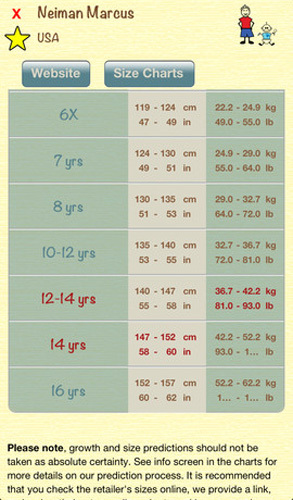 Do you stock up, knowing that your kids will quickly outgrow what they have, or wait until they need it so you know for sure what size they’ll be? 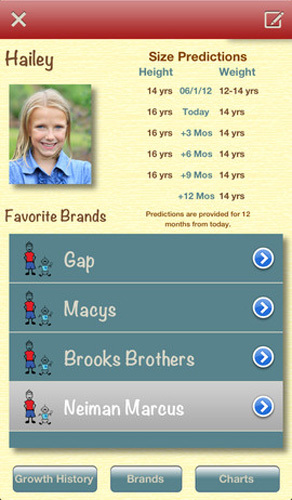 Pint Size draws upon pediatric medical growth charts to help you predict when your kids will outgrow their current clothes and work out what size they will be, matched to the fits of popular brands. Weddings, recitals, seasonal changes, if you need to plan ahead Pint Size can help. It works by feeding it the current weight, height, and age of your kids so it can identify and display their growth curves to make predictions. It offers size results to match 44 major US brands and packages the info so you can easily share it through e-mail and Facebook to friends and family who may also be helping out with clothing needs. It’s a simple app in design, yes, but knowing the sizes your kids are headed towards can be very helpful if you shop at thrift or consignment stores where the selection varies. 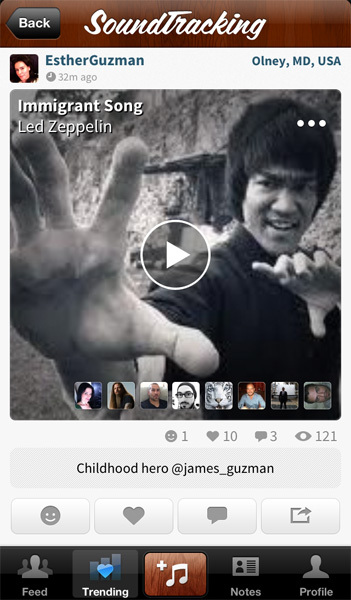 I’m surprised at how popular Fitocracy has become. At its heart it is a fitness journal where you can record the exercises you perform to a calendar, keeping track of your statistics while setting up future goals to reach. To help motivate and romanticize your journey to self-improvement, it adds a video game-inspired system of points, badges, and awards. As you complete fitness routines you earn points that accumulate so you can go up in level, unlocking new badges and heroic titles for yourself. The list of exercises supported is impressively long although hard to find at first. Click on the plus symbol from the Day’s Activities screen and you’ll find a database that goes on for days. Beyond your custom exercises is a Quest system you can dabble with that offers a selection of packaged fitness routines assembled by Fitocracy and other users. 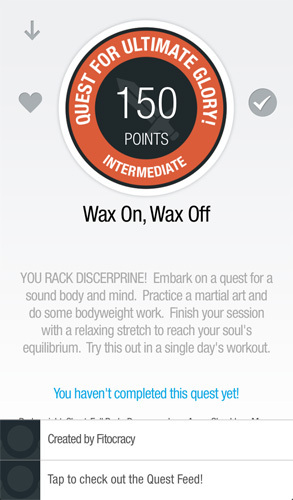 As in a video game these “quests” offer bonus points and badge rewards, but are very useful in suggesting more creative exercises and locations, like hike trails or swimming challenges, to help keep your workout habits fresh. Designed as an online community, you can follow other users, invite friends, and through these connections set up challenges or duels. The main benefit is the way players cheer each on. The moment you sign up you’ll find other users sending you messages of “props” or inviting you to join groups that cater to specific needs. You don’t have to be into video games to benefit from Fitocracy, the appeal here is how it uses social media to offer a better system of support.